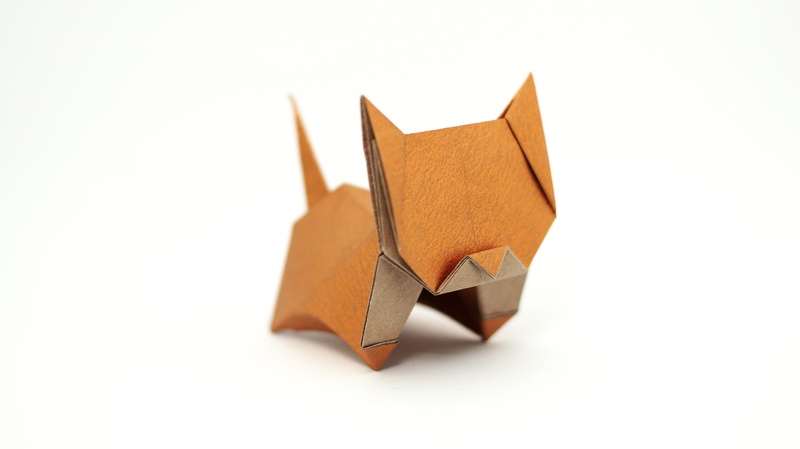 I designed the origami Neko (cat, in japanese) in february 2010 and it is one of my first origami creations. This paper used in the picture above is Copper Tissue-foil, from origami-shop, but standard origami paper works too. Download the PDF or watch my video tutorial to learn how to fold it!